The UK produces the highest amount of avoidable food waste in Europe—equivalent to a tin of beans per person per day. Those are the findings from a team of researchers based at the Joint Research Centre (JRC) of the European Commission. The study, published today (12 August 2015) in the journal Environmental Research Letters, looked at data from six national studies to determine the water and nitrogen resources lost in the EU due to consumer food waste. The researchers found that nearly 80 per cent of all food waste is avoidable, with the UK the worst offender. Even Romania, where food waste was the lowest, wastes a substantial quantity of food—roughly equivalent to an apple a day. Averaged over all the citizens of the EU together, this is 22 million tonnes of food each year. "In some ways it's good that this waste is 'avoidable'," says Davy Vanham, a lead author on the paper. "Because it means we're able to do something about it." The study found that the bulk of the avoidable food waste was vegetables, fruit and cereals, partly due to the shorter shelf-life of these foods. However wasted meat contributes more to lost nitrogen and water resources. "Meat production uses much more resources in the first place," continues Vanham. "So even a little bit of waste can have a big effect in terms of lost resources." That the study only looks at six (of the 28) EU Member States is of some concern to Vanham. "Ideally, we'd like data from all the Member States—but the data from the other countries is not as reliable. Certainly it would be useful if governments invested more in measuring waste with greater accuracy." 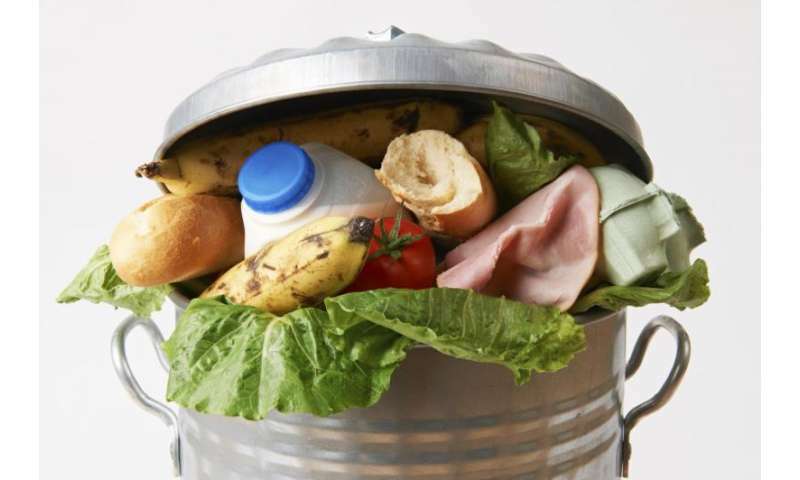 less food waste as the population tends to have less money" says Vanham. The next steps are to investigate food waste at a more granular level, down to individual European cities. "Waste in cities tells us a lot—this is where the bulk of our population is living now" concludes Vanham. Food waste is a lose-lose situation for the environment, the struggling families in today's tough economy and for the food retailers. Fortunately, there are new ways to reduce fresh food waste. The new open GS1 DataBar barcode standard enables new food waste reduction applications that offer relevant, environmentally friendly and personalized fresh food deals. An example of such an application is the "End Grocery Waste" App. This GS1 DataBar based application encourages efficient consumer shopping behavior that makes fresh food affordable for all families, maximizes grocery retailer revenue, and effectively reduces the global carbon footprint. If you are worrying about food waste you are worrying about the wrong problem.